Doctors at a Houston hospital thought the lady they were treating was suffering a heart attack. Joanie Simpson, 62, showed up at a Houston hospital complaining of a pain in her back, which had traveled to her chest. She was airlifted to Memorial Hermann Heart & Vascular Institute-Texas Medical Center, for emergency treatment. At the Vascular Institute, doctors discovered she wasn’t suffering from a heart attack at all. 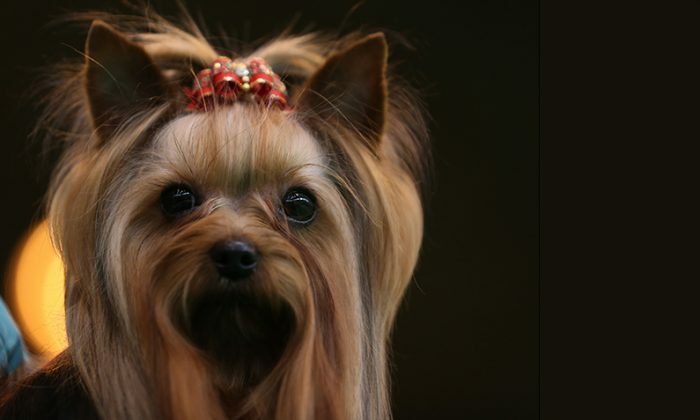 All of her symptoms were caused by emotional pain after the death of her 9-year-old Yorkshire terrier, Meha. It sounds fantastic, but it is very real. Simpson was diagnosed with Takotsubo cardiomyopathy, a condition commonly associated with the loss of a spouse or child. Her case was unusual enough that it was written up in the New England Journal of Medicine. Takotsubo cardiomyopathy is commonly called “Broken Heart Syndrome.” This condition is most common in women ages 58 to 75, and can cause weakening of the left ventricle. It can be treated with normal heart medication. Simpson was dealing with a lot of stress—her son was facing back surgery, her son-in-law had lost his job, and a property sale was taking a long time and getting more and more complicated. On top of all this, her beloved 9-year-old Yorkshire terrier, Meha, was diagnosed with congestive heart failure. Simpson decided the best course was to have Meha euthanized. Then Meha seemed to recover, so Simpson canceled the procedure. The next day, Meha collapsed and died. “It was such a horrendous thing to have to witness,” recalled Simpson. Meha was more than a pet, said Simpson, and more like a daughter. “The kids were grown and out of the house, so she was our little girl,” said Simpson. A 2005 study published in the New England Journal of Medicine states that a flood of stress hormones may be able to “stun” the heart to produce spasms in otherwise healthy people. Simpson is taking two heart medications to control her symptoms. Her ordeal occurred in 2016, but it has come to light because the prestigious New England Journal of Medicine decided her case was an almost perfect example of how Broken Heart Syndrome manifests. One slightly unusual aspect of this case is that it was a canine, not a human who died. This demonstrates that caregivers can be equally deeply attached to children, parents, or pets. This idea is supported by a recent study, which shows that owners of chronically ill pets experience a lot of what is called “caregiver burden,” stress associated with sympathetic suffering, which mirror’s the animal’s, plus fear of separation, the same as would be experienced with a human patient. What makes this case and this study noteworthy is that common wisdom says that teaming up unwanted pets with lonely older people provides a better life for both. While there may be benefits to owning a pet, this case shows that there are also risks. The risks are worth it, said Mrs. Simpson.